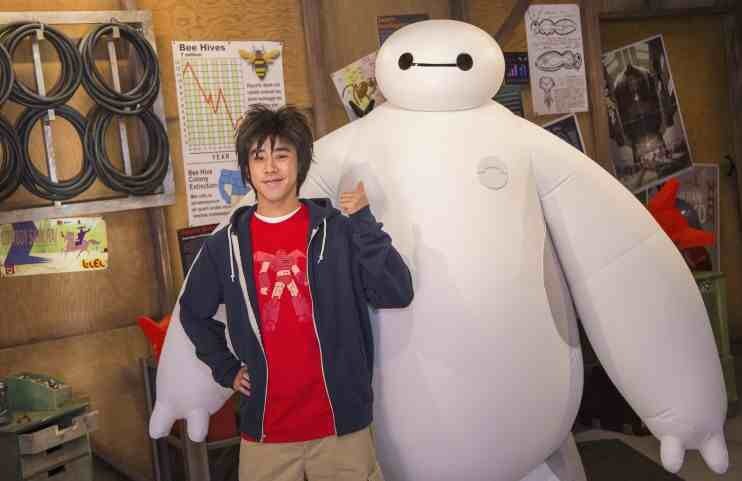 Hiro Hamada and his huggable companion Baymax, from Disney’s newest animated feature “Big Hero 6,” are welcoming guests to Hiro’s garage workshop inside The Magic of Disney Animation at Disney’s Hollywood Studios. Fans of the movie, now in theaters can also tour the lab from San Fransokyo Insitute of Technology. “Big Hero 6” is an action-packed comedy-adventure about robotics prodigy Hiro, who’s catapulted into the midst of a dangerous plot and must transform his closest companion—a robot named Baymax—and a diverse group of friends into a band of high-tech heroes.